← CMW 2012: Thursday: Adam & The Amethysts, Filligar, Honheehonhee and more! Thursday night was a hot one. Maybe not outside — it was pretty much perfect out there — but standing shoulder to shoulder inside the venues got sweaty quick. That didn’t stop me from seeing some pretty great bands, so let’s start. 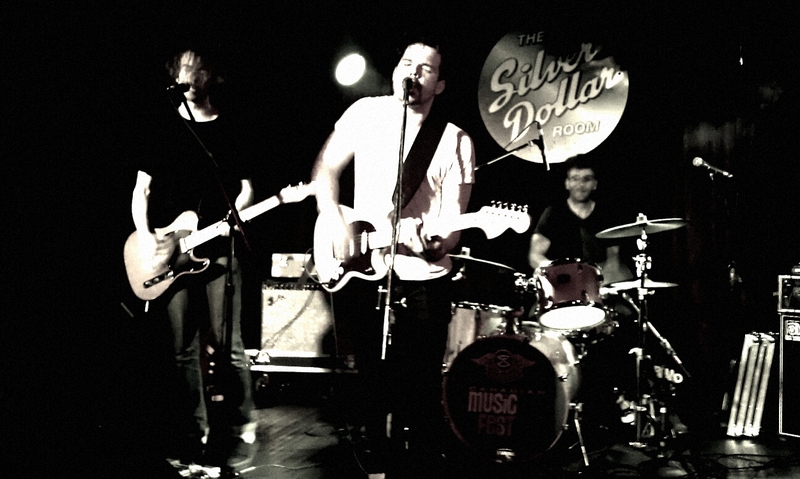 Reversing Falls (8pm @ The Dollar): These guys had a serious 90s indie-rock vibe. They played with both a drum machine and drummer, and their songs were riff-filled and fuzzy. It might just me be, but they reminded me of The Library Is On Fire at times (who have a Guided By Voices vibe, if you want to play connect-the-dots with these artists). Reversing Falls were really tight too, and I remember thinking as I watched them “Only 8pm and I already have my ‘set to beat’ tonight”. 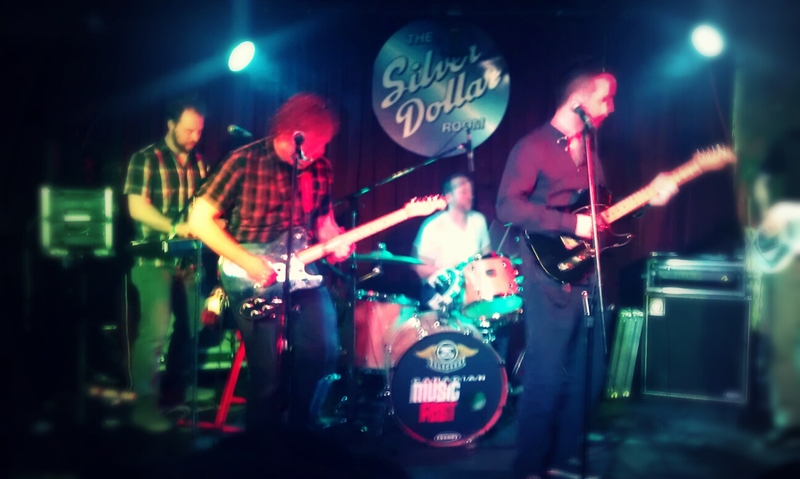 Huddle (9pm @ The Dollar): I was thinking of catching some of the post-rock going on upstairs at the El Mo, but they were running on the half-hour instead of the hour so I decided to stay at The Dollar for Huddle. Huddle is one of those bands that I’ve never had the time to check out despite hearing good things. Their music existed in a grey area between big hook based indie-pop and more mellow experimental stuff — they often let their songs stretch out and and inject hints of math-rock guitar lines and keyboards. They didn’t blow me away, but their energetic set won me over. 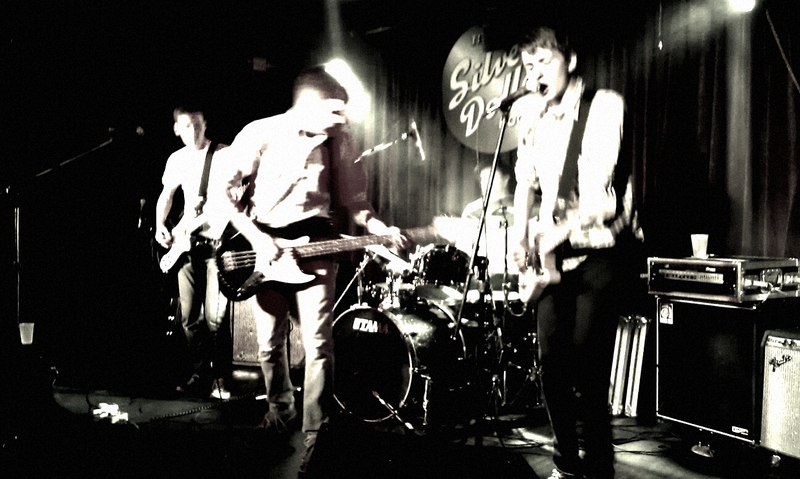 Last Year’s Men (11pm @ The Dollar): Last Year’s men are set to play a few nights in a row at The Dollar, which is great because they were quite good and are worth seeing. Hailing from Chapel Hill, Last Year’s Men eschew the typical Chapel Hill 90s sound you might be used to hearing these days and play a grittier garage-rock-blues instead. 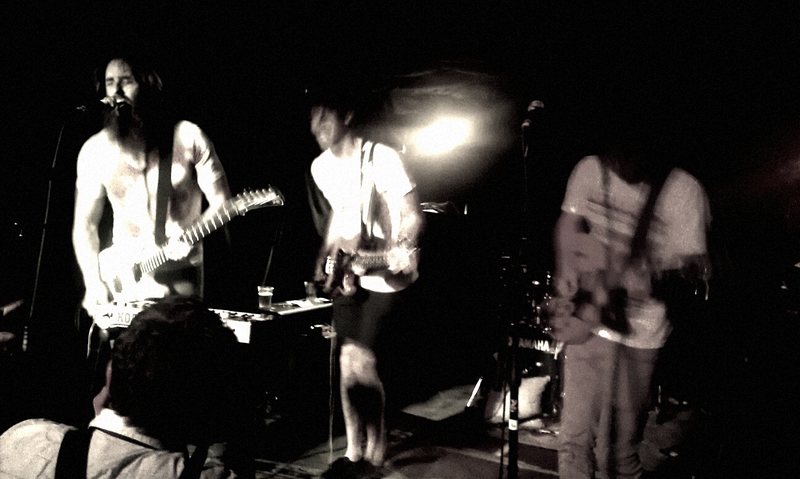 Sure, they had moments that reminded me of The Black Lips, but it’s too easy of a comparison. Last Year’s Men’s sound seems all their own. They are rowdy though — something they do share with the Lips. As the set came to a close the singer/guitarists hopped off the stage (guitar unplugging as he did) and moved towards the bar. He laid back — still playing guitar despite it being out of service — turned a tap on, and drank straight from it. Check these guys out if you get a chance before CMW ends. HonHeeHonHee (12am @ Rancho Relaxo): I spoke about how much I like HonHeeHonHee on a recent episode of my podcast See You Next Wednesday, but I’ll reiterate. These guys play with a crazy amount of enthusiasm, and last night at Rancho it seemed like the crowd was game for matching them — many members of the crowd knew all the chant-alongs and joined in whenever possible. Even some slight issues with their bass didn’t slow them down. If you haven’t had a chance to see HonHeeHonHee live, you should be figuring out when you can, because these guys are definitely going places. That’s it for Thursday, I’ll be back tomorrow with my Friday night wrap-up which will feature eight bands — including Parlovr. So check back.